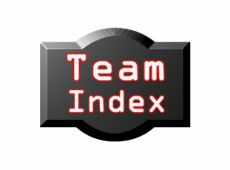 Welcome to the Team Index for Herts Advertiser Sunday Football League. Here you can find contact details of teams that make up the league. It's free to use and clubs are welcome to participate by activating a free Football Juniors club website at www.footballjuniors.co.uk League administrators can adopt and administer this site for free and use it publish league articles. For more information email Website Support in the Contacts section at the top left-hand side of this page.